Tomasz is a software developer at Tasktop Technologies. He is located in Krakow, Poland. Prior to joining Tasktop, he spent over 5 years with a team working on the Eclipse Platform. He was also involved in the Eclipse Orion project and fixed a bunch of bugs in JDT. 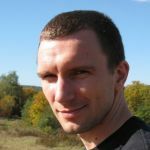 He is now a committer on the Mylyn project, one of the most popular project for Eclipse. After hours he squashes pesky bugs in EGit (as a committer) and JGit (as an active contributor).